Russia and Turkey on Friday signed an agreement which has Ankara make a down payment on an advanced anti-missile air defense system. 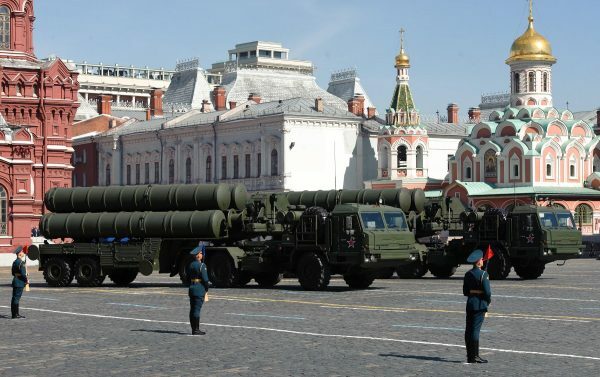 Turkey had previously indicated that it was interested in buying the Russian S-400 anti-missile air defense system to boost its air defense stature. An agreement was reached between Turkish Foreign Minister Mevlut Cavusoglu and his Russian counterpart in April, but the price tag was still in negotiation then. The deal was finalized on September 12. “The contract has entered into force, the advance payment has been made, I cannot say about the timeframe now,” Vladimir Kozhin, an aid to Russian President Vladimir Putin who is on a trip to Turkey, said on Friday. Turkish Undersecretary for Defense Industry Ismail Demir told the Russian news agency TASS that the delivery of the air defense system would begin within two years. Putin arrived in Ankara late Thursday and met with President Recep Tayyip Erdogan to discuss latest developments in Syria and the Kurdish referendum on independence in Iraq.